. Auto transmission is a precise machine device which transmits power using hydraulic pressure.
. 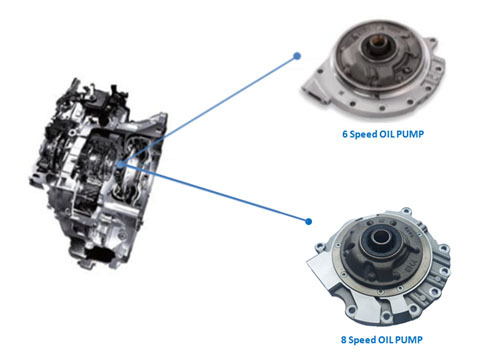 When the engine starts, the oil pump connected with axle of torque converter rotates, and hydraulic pressure is generated.
. The valve body controls hydraulic pressure and supplies proper system pressure, and one gear meshes with another gear to transmit the engine driving force to the wheel.